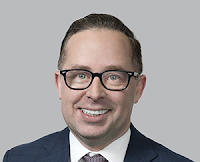 The Governing Board of the Oneworld global airline alliance announced today that it has nominated Qantas Group CEO Alan Joyce to serve as its Chairman for the next two years. Mr Joyce fills the position vacated by Finnair's CEO Pekka Vauramo, who is leaving the company and the industry as he takes up a new role at the top of Finland’s Metso Corporation. As oneworld Governing Board Chairman, Alan Joyce will chair its Board meetings, oversee alliance governance and work closely with oneworld CEO Rob Gurney and the central alliance team. The oneworld Governing Board comprises the CEOs of all the alliance’s member airlines – American Airlines, British Airways, Cathay Pacific, Finnair, Iberia, Japan Airlines, LATAM Airlines, Malaysia Airlines, Qatar Airways, Royal Jordanian, S7 Airlines and SriLankan Airlines, alongside Qantas. Alan Joyce said: “As a founding member of oneworld, we are pleased the alliance has evolved over time to deliver greater value to more customers worldwide and expand its joint network. I look forward to serving as Chairman of the Governing Board and working with our oneworld partner airlines as the alliance reaches the 20th anniversary of its launch.